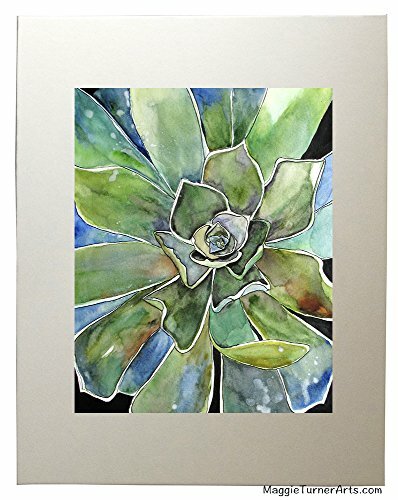 This is a high-quality art print of green succulent plant hand-painted in watercolor by artist Maggie Turner. Hang it on the wall to enhance the tranquility of your home. Use it to decorate your bedroom or add it to your desert plant collection of arts. A unique painting for someone who loves nature and succulents.